Before thinking about updating to WP 5.0, please check this article first for the sake of your site’s stability. Here comes that time of the year again when the WordPress team decides to roll out a major new update for WordPress. New WordPress versions usually mean better performance, but they’re rarely optimized for anything older (even latest 4.9.x versions). 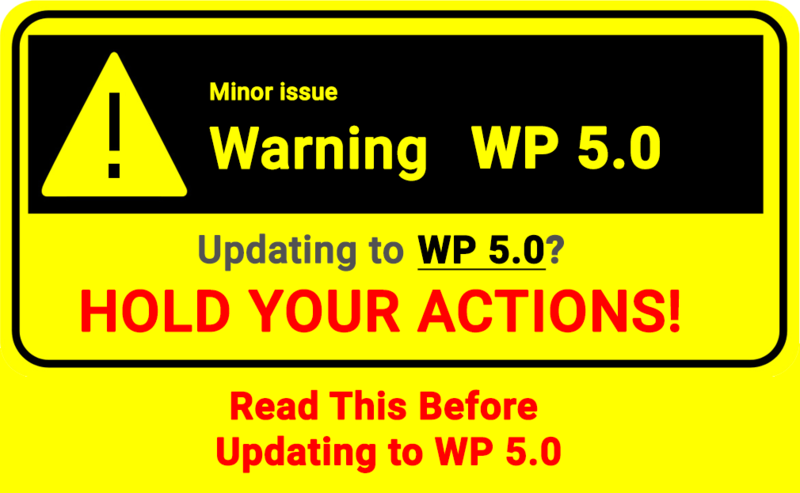 To help you stay away from the trouble, it is our recommendation that, if you are thinking of updating to WordPress 5.0 right after it is released, think twice before doing that. WordPress 5.0 is a major update that comes with some new features and a major change of the inside system (the name 5.0 suggest that very well). However, it has never been tested with your current version of theme and plugins and it is very likely to bring up bugs, issues or even destroy your live-running-production website completely. If you are thinking that this is a new update, why not try it, well, do it at your own risk and think if it’s worth risking your business’ website just for the sake of ‘trying’ before testing with it. You should only upgrade to WP 5 if you are doing it on your test site (not your production site) to avoid losing your customers. 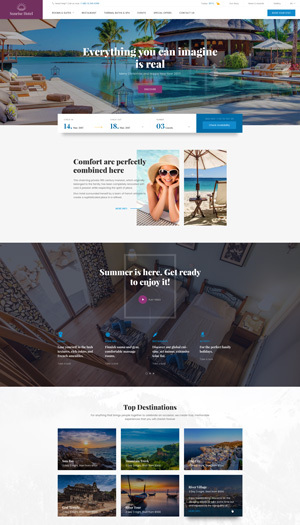 If you are not the ‘techies’ type and you have other people installed your site for you, you should only upgrade to WP 5 in the next weeks or so, until when many others have tested it and make sure it is working properly with your set of themes and plugins. Finally, you should only upgrade to WP5 on your production site when you finish testing on your test environment. Our developers are working hard to test this new version and make sure it compatible with our themes and plugins. Before we can reach a safe conclusion, please do not update to WP 5.0 without a backup or without having a technician helping you directly. Just hold on, wait for a few days until next week and then it will be time to update.